Production of the redesigned 2019 Ram 1500 started in January at FCA US's Sterling Heights Assembly plant in Michigan. It’s going to cost a plenty more to get an entry-level 2019 Ram 1500 pickup since the automaker isn’t offering the regular cab in its revamped lineup of popular trucks. Base pricing for the redesigned 2019 Ram 1500 will start at $43,990, including delivery. That’s $7,130 more than the base-model regular-cab 2018 Ram 1500, which starts at $36,860 and will be sold alongside the 2019 trucks for a time. There simply is no regular-cab version of the redesigned 2019 truck — not yet, at least. The trucks with regular cabs are primarily sold as fleet vehicle; fleet orders will be filled with the 2018 version for the time being. The lowest priced 2019 model is a two-wheel-drive quad-cab Tradesman model, equipped with a 3.6-litre V-6 engine. The lowest-priced quad cab currently available, according to Ram’s website, is the ST trim line, priced at $37,110, including delivery. FCA Canada didn’t respond to calls and emails placed by Automotive News Canada. Ram released pricing for 34 different configurations on Thursday. Pricing for the top-end model, a 4x4 2019 Ram 1500 Limited Crew Cab equipped with a 5.7-liter V-8 engine and 12-inch Uconnect touchscreen, will start at $76,090, including delivery, Ram said. 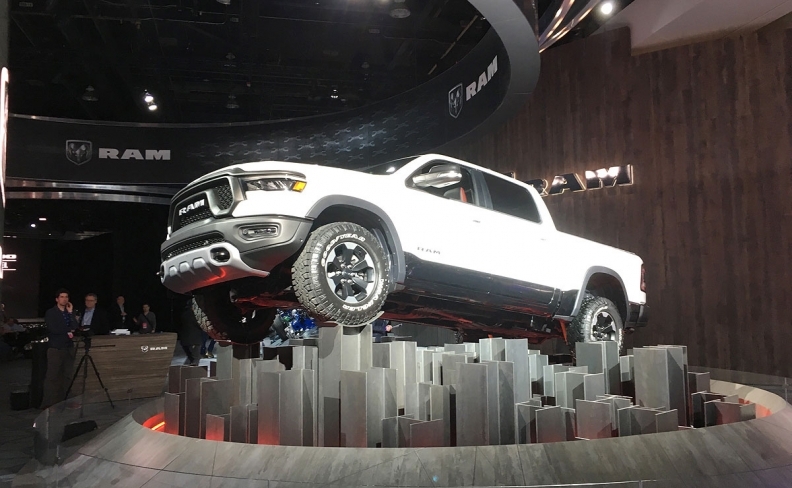 Production of the redesigned 2019 Ram 1500 started in January at FCA US's Sterling Heights Assembly plant in Michigan and is expected to begin showing up on dealer lots within the next several weeks. The 2018 Ram 1500, which is being built at the Warren Truck Assembly plant about 16 kilometres away, is scheduled to remain in production throughout 2018, primarily to serve as a fleet vehicle and value play for dealers. Ram sold 98,465 pickups in 2017, up 9.8 per cent over the year before. The Ford F series was the top-selling truck in 2017 with 155,290 units sold. The GMC Sierra finished third with 61,883 sold. Ram sales are down 13.1 per cent to 11,685 through the first two months of 2018.